Fund the new blend of Macacha, the organic vegan protein shake brand. Paid back in full on 11 Mar 19 9 days early!!! 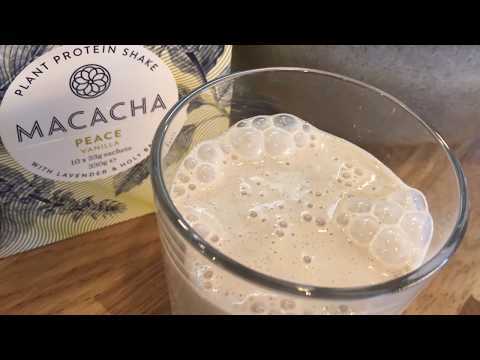 Macacha is a sports nutrition company which makes highly desirable organic vegan protein shakes. The company launched two years ago and is today selling in premium health food stores across the UK, Whole Foods, Planet Organic, upscale chemists as well as Holland & Barrett. Macacha is launching a new Winter blend in September and is raising funds for the production. They would like to raise £25,500. In return you can earn 9.2% in just 7 months. You'll also become a Friend of the brand. Macacha successfully raised £25,500 to fund the production of 2,040 packs 311 days ago. Check back soon for more offers. Offer was due to repay on 20th January 2019. Due to a scarcity of elderberries - a key ingredient in their products - Macacha requested that the repayment date be extended to 20th March 2019. Half of what was owed was paid on 13th January 2019. An additional 2% was offered per month on the monies outstanding. This proposal was agreed by PrimeStox. Ines Hermida completed her MBA at London Business School and went to work at Whole Foods. Ines held the position of Head of Health & Beauty in the UK. In this role she helped to launch the natural sports nutrition category. She quickly realised that there were not enough products in the market which met the high quality standards. This insight led to Ines launching Macacha in late 2016 after leaving Whole Foods. Macacha is a sports nutrition company whose flagship product is a plant protein shake. It is now selling across the UK including in Holland & Barrett. Ines is also an active sport enthusiast who trains daily in the morning. Macacha is launching its new Winter blend in September 2018. The company is raising funds to manufacture 2,040 units at a cost of £12.50/unit. Credit terms are available from the manufacturer but Ines prefers to use PrimeStox as a means of boosting engagement with her brand and product. The new blend will be sold both in sachets in boxes (330g) and in drums (500g). Based on extensive research, elderberry and acerola cherry have been chosen as the key ingredients. Thee are rich in immune-boosting vitamins. The blend will be sold through all of Macacha's sales channels. Macacha plans to launch two more blends over the next 12 months and expects to roll out sales to 500 stores nationwide. It is also imminently launching on Ocado. Ines is offering to repay in 7 months, plus a profit of 9.2%. Investors will also become Friends of the brand.